Lightning Jar Theatre’s 2019 production will bring Anne Washburn’s wildly successful play to Melbourne audiences for the first time at Fortyfivedownstairs. 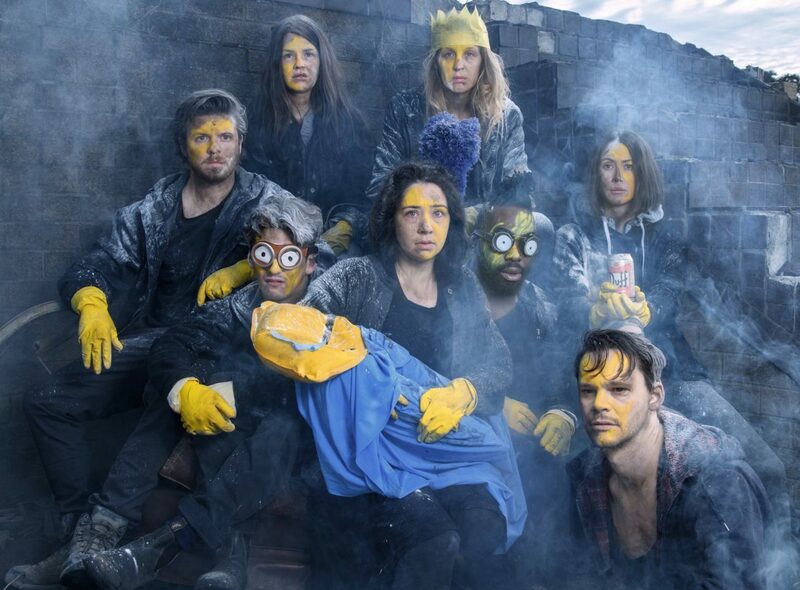 Mr. Burns, a Post-Electric Play will be Lightning Jar Theatre’s third production and another Melbourne premiere. Director John Kachoyan and Musical Director Andrew Patterson are leading us on what will be our most ambitious project yet: a Three-Act play spanning 75 years after the end of the world. Our season takes place at Fortyfivedownstairs from February – March 2019. Mr. Burns is a play about story: How it evolves, its place in sharing ideas and creating connection, meaning and myth. Having begun work in August, a great deal of time is being spent creating three distinct worlds including a mini-Musical in the third act. Melbourne hasn’t seen a play like this before; one about how we tell story, its significant cultural impact and how it evolves over time, told through the lens of The Simpsons and countless other pop culture references. Realising such a grand vision requires fantastic design and the funds to make it happen. Each act is in it’s own world, set 6 months, 7 years then 75 years after a world-wide catastrophic event. The script relies on design elements to communicate the state of the world the characters live in, as the characters themselves spend little time dwelling on exposition. In the third act, we see how 75 years later the Simpsons family and their counterparts have fused with the story of America’s collapse and are represented by people who have never seen the cartoon in a finale that is part morality play, part Greek chorus and part Musical/Top 40 Mashup. Funds acquired through ACF will primarily be used to increase our Set and Costume budget to accurately reflect the world our Director John Kachoyan and Designer Sophie Woodward have created. Melbourne audiences deserve to see our finest efforts in creating the post-electric play Ms Washburn has painted for us. The end result will be three distinct periods in time and a spectacular musical number to finish the show: a dystopian, junkyard-theatre style musical complete with panto-style river rapids and piranhas mimicking the final scene of the Cape Feare episode of The Simpsons. Donate and help this play be the design masterpiece it was written to be! Meet Lightning Jar Theatre, a Melbourne theatre company bringing premieres of exciting works to local audiences. Hannah Greenwood, Dylan Watson, Syrie Payne and Tilly Legge. We began in 2016 with a desire to champion great playwrights and produce fresh, compelling and entertaining productions for Melbourne audiences. We’ve quickly established ourselves as an exciting and critically acclaimed addition to the city’s independent theatre scene. As a young company we are proud to be able to demonstrate financial growth across our first two productions (Aaron Posner’s Stupid F*cking Bird and David Ives’ Venus In Fur), successfully raising more across both our fundraising campaigns and box office sales from project to project.